How does the Plex Media Server work? This document contains helps for consumers of Plex Media offered by servers they've accepted belonging to others—geeks and nerds who set them up. To see notes on how to do this, click here instead. You want to use Plex and you know someone who's got a server. How easy is it to set this up? Here are the basic steps. You can view media (watch movies, television shows) or listen to music that you have legally purchased either on your computer, on your phone or on your television set. On the computer or on the television, you must have broadband Internet. This is all you need to do. Some of these steps are elaborated elsewhere on this page. Sign up for Plex, it's free (instructions below). Though the sign-up may propose payable options, just ignore them. Tell the server owner, likely a family member or a friend, that you want this service. The owner sends you an e-mailed invitation and you accept it. You figure out how to watch on your phone if you want or get help. Someday I may demonstrate that on this page. 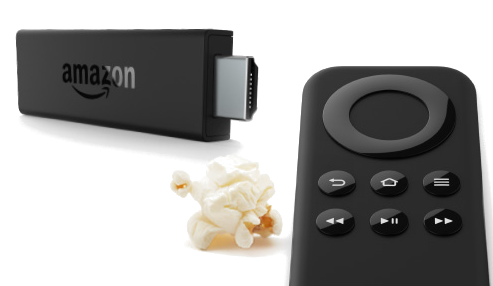 If you want to watch on your television, get a video-streaming device like a Roku 3, or this less expensive stick that runs off your wireless LAN and comes with a remote control too or this full Roku box that also accepts a hard Ethernet cable. At this writing, the purchase of the Roku Plex application is a one-time fee of $5 when bought using the Roku itself. Note, there are lots of video-streaming devices you can purchase: some of them are featured and reviewed below. You learn to set up your Roku and the Plex channel to view media content from a Plex server. Note: this is more or less how it goes. I can't keep up with their webpage changes, but this should help. Enter a Username, E-mail address, Password and re-type the password to confirm. Enter your Birthday in the three drop-down fields provided. Last, click I agree to the terms of service. On some monitors I've seen, it's hard to make out the 3 different fields of the birthdate. I've outlined them and added labels in the image here so you can see them because if you just put in the year, then click SIGN UP, it will reject you and not usually tell you why. Click the big Sign up button. Answer various questions on confirmation. I did all of this long ago and don't wish to create a bogus user just to re-document this process, but it shouldn't be too difficult to finish. You will need to remember your e-mail address and password to use the service. If you ever need your actual username (I can't remember mine, for instance), then you'll likely be able to ask Plex for it by giving Plex your e-mail address, to which Plex will send some kind of reset-password opportunity. I don't wish to document this because it's a usual thing in this kind of service and it will change slightly with time anyway. It is possible to change the e-mail address associated with your Plex account later if you need to. The orange-colored text, "Accept Invitation Link," is where you click which will launch your default browser and the page you get allows you to accept the invitation. Enter your e-mail address (or username). Now click Servers in the top bar. When you want to watch content on your (or your friend's, family member's, etc.) Plex Media server, whatever you're using (Roku, mobile phone, tablet or computer browser) doesn't know how to get to that content. This is where the Plex user account comes in. The Plex user account is reached from whatever device you're using over the Internet. Plex (their headquarters server) knows all the Plex Media servers everywhere, including the one you want. Associated with your user is a list of one or more of these servers by their IP address. So, your device contacts plex.tv which hooks you up with the server you're trying to watch content on. But, how does plex.tv know how to do this? It's sort of magic. Even when the ISP of the person whose Plex Media server you're watching changes that server's IP address (because your friend moves somewhere, changes computers his server is on, the ISP changes via DHCP, etc. ), the server quickly recovers its ability to serve up media content. This is because the server always broadcasts its IP address to the plex.tv account. So, Plex will not work when the Internet is down because you won't be able to contact plex.tv to log into your account. Click the big Sign in button. Click Launch. This will take you to one of the shared Plex servers you've accepted. Down the left column you'll see libraries into which the owner of that server has organized his or her content. Typically, you can choose between Movies, TV, Videos and even Music. There may be others; it's up to the server owner. If you have access to more than one server, you'll see libraries from the other servers to which you have access listed too. Here, I've got my own server, taliesin, and you see another, blackblaze00. that someone else happens to be sharing with me. Note that when you play content in your browser, the tab's or window's back arrow will not function as you expect. Typically, you have to click and hold down the mouse button on the back arrow, then go way back in Plex history before your browser will stop playing the movie. Yes, this is annoying. To watch a movie or television episode from a Plex Media server on your own television, the set must be "attached" to the Internet. This is done using a streaming device which is a hardware add-on (just as a DVD or Blu-ray player component is an add-on). Modern televisions come with at least one and often even more than one. 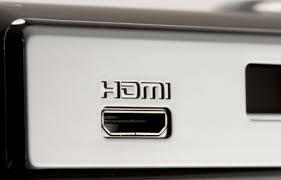 Televisions have not always had these ports—rarely before 2005. Streaming devices are numerous like the Google Chromecast you just plug into an HDMI port on the back of your television set. Its "remote control" is your smartphone (either Android or iPhone). It's powered with a micro USB cable like the one you use to charge a telephone; it can be plugged in either to the USB port on your (newer) television or into a USB wall wart (like the one you use to charge your cellphone). Here's an illustration and prices as of January, 2015. It was going for anywhere from $29 on eBay to $35 from Google Play. Amazon and Roku both make similar, low-priced "dongles" and the Roku and Amazon "sticks" come each with a remote control. Each operates either through its accompanying remote control or a free application you download to your telephone. Here's a fancy Amazon Firestick with voice remote, $49 from Amazon. The Roku 3, the Cadillac of media streaming, goes for just under $100, unless on sale. It's a full-featured device that uses an HDMI cable to plug into your television and offers its own remote control with a cool feature of ear buds that mute the television while allowing you alone to listen and control the volume. The Roku 3 can also be wired directly to your home network directly using Category-5/6 and RJ-45 connectors. This is the device I have most experience with. Above were instructions for getting to a Plex Media server from your computer. It's not a bad idea, however, to familiarize yourself with viewing Plex content from your computer's browser. Once you've already signed up to use a Plex Media server, you can also get to it using your Roku and similar devices by inputting a special PIN. These instructions are only for the Roku 3. Go to the Channel Store on your Roku and find the Plex "channel." I think this moves around, but you'll likely find it hiding among such channels as Netflix, PBS, Amazon and YouTube. Once you see it, use arrow keys to get to it and click the OK button, confirm adding it, then go to it. I believe what's changed since I did this is that you must now purchase the Roku Plex application unless you registered with Plex and bought in at the Plex Pass level, which I did (I'm a lifetime member). Please see Plex support: Activating the Roku App. At this writing, the purchase of the Roku Plex application is a one-time fee of $5 when bought using the Roku itself. After you've set up your Plex account (done as shown above from a browser running on your computer), you can accept a Plex Media server owner's invitation to view content. Accepting the invitation makes you a guest on that server. When you log into your Plex account from the Roku application, which you cannot do until you a) arrange for the 30-day trial or b) purchase it, the Roku will detect this association and automatically make the server available to you without you needing to know the server's IP address. Source the HDMI to which your Roku is attached. On the Roku, go to My Channels. Find the Plex application among your channels and click the Roku's OK button. Scroll down to the bottom of whatever's on Plex to a gear-shaped icon (Preferences) and click OK.
You should see Set Plex Channel Preferences. Under this section, you should something like Connect to Plex server, select that and click OK. The application should give you a) a URL (http://plex.tv/pin) and a magic, usually 4-character code consisting of uppercase letters and maybe a number or 2. This is the PIN. Write the URL and the PIN down. Go to your Plex account in a browser, navigate to http://plex.tv/pin. I don't think you can find this from the main page; if this URL is wrong here, it's because it's changed. Roku should give you the right one. Log into your Plex account. The dialog asks you for your username or the e-mail address associated with your account. It asks you for your password. You must log in. When you go back to your television, it should show you a bunch of icons for television, movies, etc. This is the Plex content. Explore it just as you'd explore Netflix content. It works similarly. Plex takes care of all conversions when streaming to a handheld device. So long as viewers have iOS or Android devices, you don't need to worry about special formats for anything: If it plays on your Roku, it'll play on these devices just fine. There is a nominal charge ($5) for the Plex application on the handheld. (I believe the Plex application for display is one that must be purchased. Sync permission must be granted by the server owner when such viewers (persons with handhelds) have a shared account on your server.